Candace Puopolo at Total Performance Sports in Everett. When photographer Liane Brandon joined a fitness club a few years ago, she was hoping to get away from her work. Between projects, she had been spending a lot of time editing her photos, and she wanted to combat the effects of long hours at the computer by getting active. However, it was at the gym that she ran into her next subject: female powerlifters. Brandon’s photo series “Lift,” recently on view at the Mayor’s Gallery at Boston City Hall, is a spectacle of might and capability, celebrating women who compete in the strength sport of powerlifting. Shot over the course of a year, Brandon’s photographs capture the physical and mental strength of four women, ranging in age from 28 to 62, who — defying stereotypes with every squat, deadlift, and bench press — can lift extraordinary amounts of weight. The project began in 2013 when Brandon, assigned a personal trainer for her first few sessions at Mount Auburn Club in Watertown, met Jessica Diedrich. The two got to talking, and Diedrich — who had recently started powerlifting competitively — introduced Brandon to the unfamiliar sport. Intrigued, Brandon wanted to learn more about the sport, where competitors make three attempts to reach their maximum weight on three different lifts: the squat, in which the lifter does a knee bend while holding a loaded barbell across her shoulders; the bench press, where the lifter, lying on a bench, pushes a loaded barbell up from her chest; and the deadlift, during which a loaded barbell is hoisted straight off the ground to the hips and then lowered. To see powerlifters in action, Brandon — camera in hand — headed to Diedrich’s next training session at Total Performance Sports in Everett. Brandon, who has shot production stills for shows such as PBS’s “Nova” and “American Experience,” has long been captivated by feats of female strength, so things just clicked when she decided to focus her lens on women’s powerlifting. Brandon is also a documentary filmmaker, and some of her early works include notable independent films emerging from the women’s movement. One of them, “Anything You Want to Be,” was recently screened at the Museum of Modern Art as part of the Women’s Preservation Fund’s 20th anniversary. Jane Stabile is 62 years old and holds a number of records. Over the next few months, Brandon spent hours at Total Performance Sports and at local competitions, wielding her camera amid benches and barbells to capture women lifting more than three times their weight. Along with Diedrich, “Lift” features Lodrina Cherne, Candace Puopolo, and Jane Stabile, who all trained in Everett when Brandon was shooting the photo series. Though first drawn to the sport for different reasons, all four women — who, among them, hold a number of records, including some national marks — were hooked after discovering how empowered lifting made them feel. Now 62, Stabile didn’t start lifting until she was in her 50s, and she said she had never been athletic beforehand, which makes it all the more impressive that she can now squat and deadlift more than 400 pounds. A grandmother, she holds a number of records in her age and weight class, and doesn’t have plans to quit anytime soon. 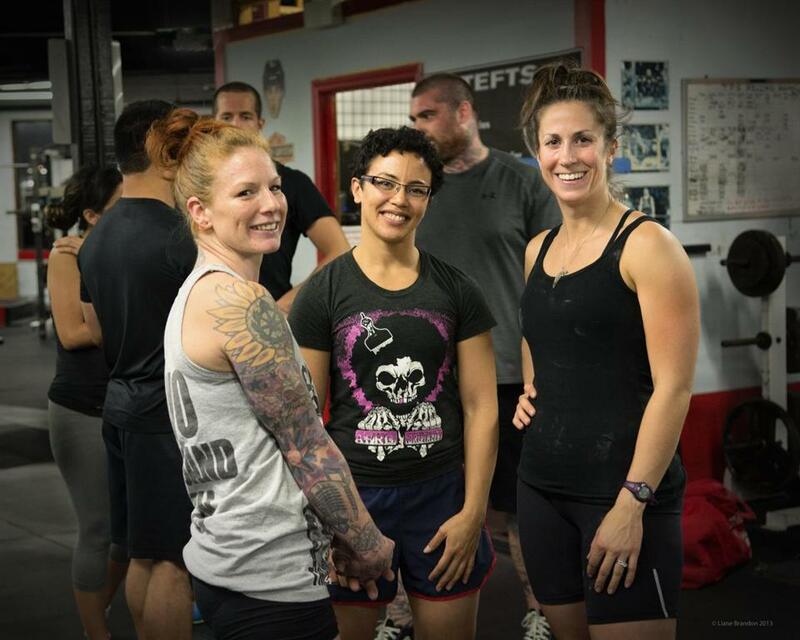 Candace Puopolo, Lodrina Cherne, and Jessica Diedrich. The women typically compete in three or four meets a year, where they are separated, as in wrestling, by weight class (some meets also separate older competitors into a masters division). 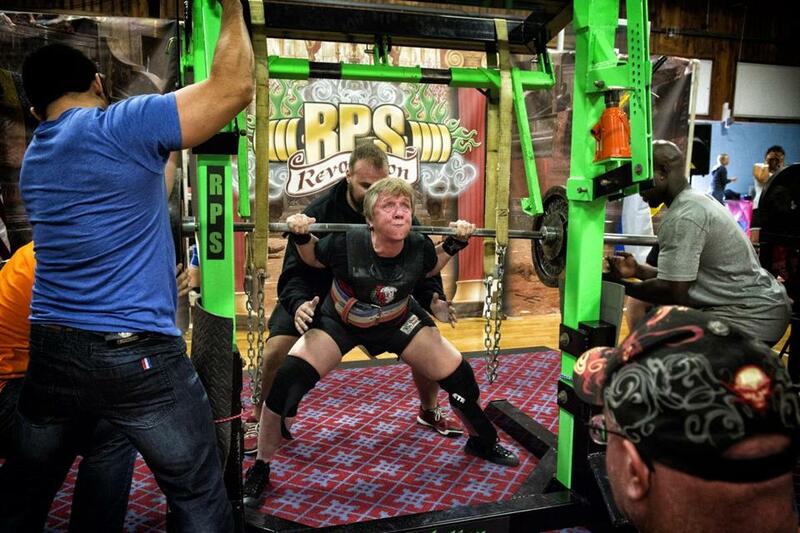 Numerous powerlifting federations exist, each with its own rules and standards of performance, but there are few women’s-only competitions. Still, women are a growing presence at the competitive level. Even so, exposure is limited, and many people have confused reactions when they first hear about the sport. One of the sport’s top competitors at just 130 pounds, Puopolo can deadlift 440 pounds, squat 415 pounds, and bench press 275 pounds. 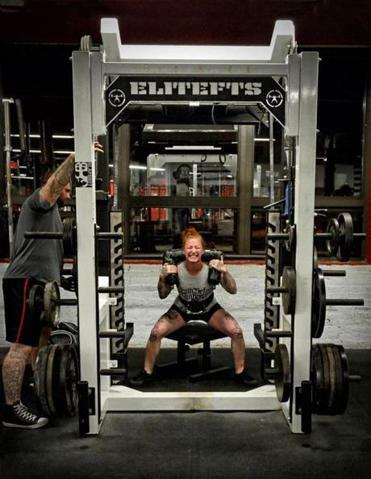 For her, the sport is as much about mental acuity as it is physical strength, and the perseverance powerlifting fosters extends to life outside the gym. Those qualities are palpable in Brandon’s photographs, which aim to enlighten and inspire. The photographer and her subjects alike hope the photos, like powerlifting itself, can eradicate stereotypes by showcasing female empowerment. Eryn Carlson can be reached at eryn.carlson@globe.com.